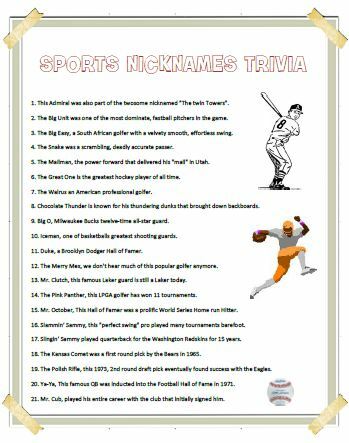 Sports Nicknames Trivia shares some of the many unique identifiers. 42 Sports Star's Nicknames Quiz. Over 85 Q's and A's for that sports party you are planning. 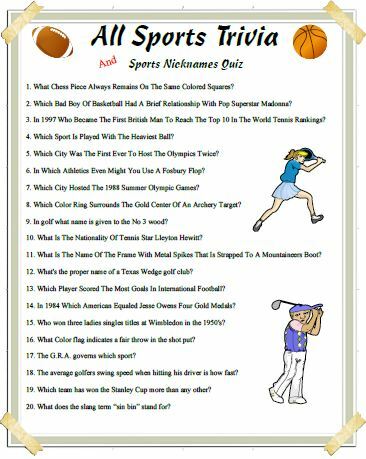 sports set is a Nicknames Quiz. Most sports stars are affectionately known by their nicknames, but how many do you remember? 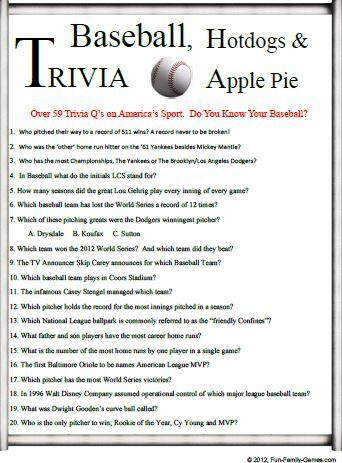 A fun quiz for that avid sports Fan.